Attractive wooden heart tea box. Shabby chic Rustic distressed effect finish. 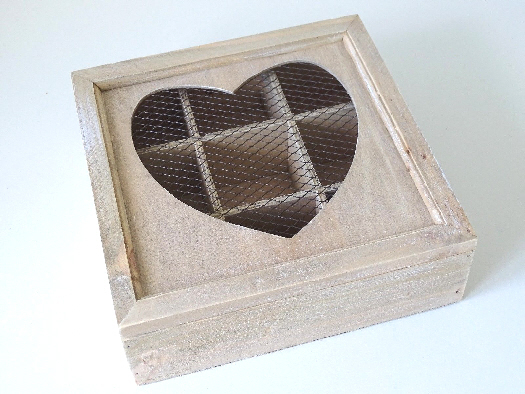 Heart cut-out with mesh inlay. 9 x Compartments. Hinged lid.